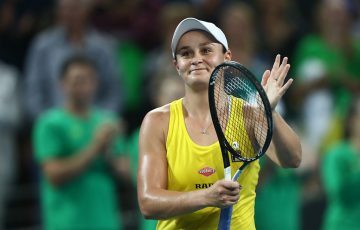 Alex de Minaur will face Matt Ebden for a place in the men's final at Surbiton, while Priscilla Hon is through to the women's semifinals. 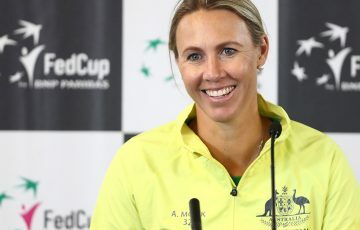 Australian players could feature in both the men’s and women’s finals at the Surbiton Trophy grass-court event in London after three made it through to Saturday’s semifinals. The men’s ATP Challenger Tour final is sure to feature an Australian after Matthew Ebden and teenager Alex de Minaur set up a semifinal clash. In the women’s ITF event, 20-year-old Queenslander Priscilla Hon secured a semifinal against American second seed Alison Riske with a 4-6 6-2 6-3 win over Britain’s Katie Boulter. Britain’s Harriet Dart will face Conny Perrin of Switzerland in the other half of the draw. 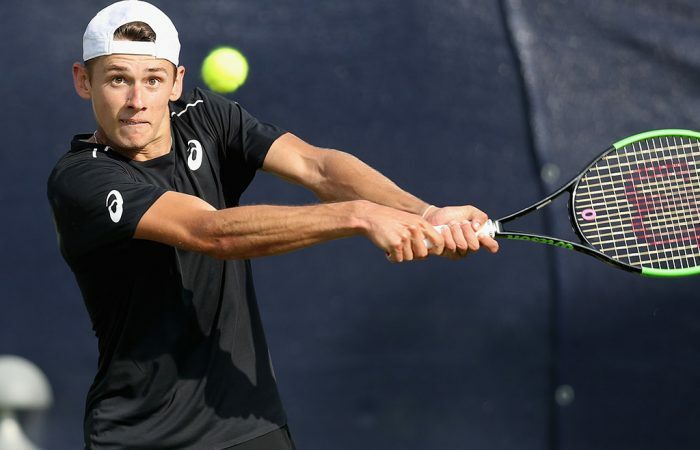 De Minaur, 19, beat Australian slayer Yuki Bhambri from India – who knocked out Thanasi Kokkinakis and Alex Bolt earlier this week – 6-3 7-5 on Friday in southwest London. The confident display catapulted the Sydneysider into the world top 100 for the first time in his career. It continues his steady progress in what has been a breakout season that began with a march to the semifinals and final at the Brisbane and Sydney internationals respectively in January. World No 73 Ebden, who won this tournament in 2015, eased through his quarterfinal against veteran Ukrainian Sergiy Stakhovsky 6-4 6-4 to set up a first meeting between the Davis Cup teammates. 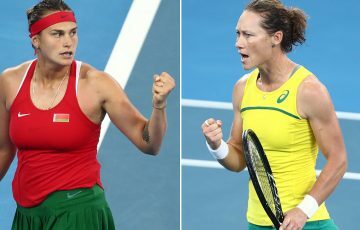 “Obviously we are familiar as we played Davis Cup together earlier this year and actually practised together last week at the French Open,” Ebden told AAP. “We know each other well. He had a great January, he would have hoped to do a bit better since then, but he is young and still getting it all together. De Minaur, who was watched by Davis Cup captain Lleyton Hewitt from the sidelines, was equally impressive against the Indian world No.93, sending down seven aces. The youngster, who was edged out by world No.3 Alex Zverev in a five-set thriller in the Davis Cup defeat to Germany earlier this year, said he feels comfortable on the grass court. “I think it suits my game well and I am serving strongly at the moment and hopefully that can continue,” de Minaur said. In the other semifinal, top-seeded Frenchman Jeremy Chardy will play former British No.2 Dan Evans, who is making his way back after a 12-month ban for testing positive to cocaine.